The whole experience was fantastic as were the people!! 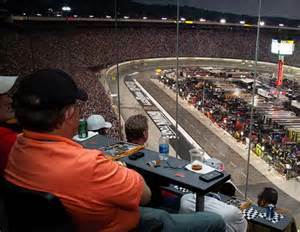 Our 2019 Bristol Motor Speedway Bass Pro Shops Night Race NASCAR race packages, travel packages and tours include excellent Bristol Bass Pro Shops Night Race tickets (the most coveted race ticket in NASCAR) and Xfinity tickets, hotel accommodations at the Country Inn & Suites in Wytheville, VA, deluxe continental breakfast daily, roundtrip bus transfers Friday and Saturday via deluxe motorcoach, a pre-race tailgate party Saturday, knowledgeable and experienced tour representatives, ticket holder/lanyard, informative tour booklet and more such as optional Bristol Motor Speedway pre-race track tours and optional scanner rentals. 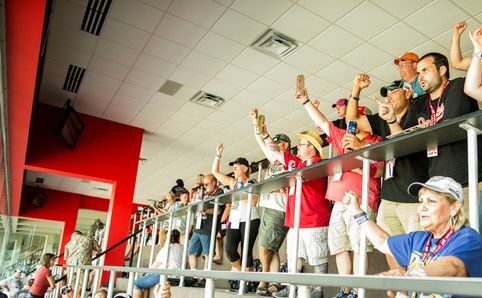 This is the single most popular race on the circuit. Make your reservation now as this one sells out early! A 2nd deposit to equal $300.00 per traveler is due by May 21, 2019.